Samsung on 22 September announced that digital assistant Bixby will now be available with voice capabilities in India that will help consumers interact better with their smartphones. Bixby has been optimised to understand Indian accents. 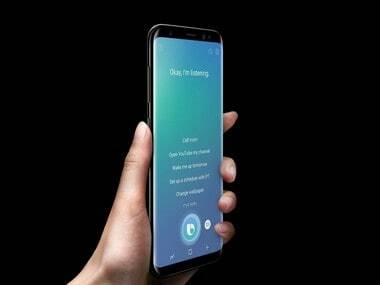 The newly-launched Samsung Galaxy Note 8, Galaxy S8 and Galaxy S8+ users can now enable Bixby's voice capabilities (US English) by pressing the Bixby button, the company said in a statement. Consumers can activate Bixby by holding the dedicated button on the Galaxy Note 8, Galaxy S8 and Galaxy S8+ smartphones, or by simply saying, "Hi, Bixby." "With Bixby, the phone adapts to you and not the other way around. It's a smarter way to use your phone and get more done," said Asim Warsi, Senior Vice President, Mobile Business, Samsung India. "Keeping in mind the diversity in Indian accents and our commitment to 'Make for India', Bixby has been optimised to understand Indian accents," he added. The Bixby voice capabilities for the Indian consumers were developed at Samsung Research & Development Institute, Bengaluru (SRI-B) — Samsung's largest R&D facility outside South Korea. For example, one can use the command "good night" as a shortcut for "Turn on Do-not-disturb mode, set an alarm for 6 AM and turn on blue light filter." For example, if you take a photo and then tell Bixby to "send the picture just taken to Mom", Bixby understands cross-application commands and will know which photo you are referring to and will text it to your mom.